Come hear Grad students talk about their experience in grad school and the whole process! Career Tuesdays at the School of Business are open to all students. 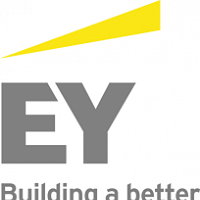 This week meet reps from Voya Financial,Morgan Stanley,SS&C and Penske. Why should you attend? This is a chance for you to engage with employers in a casual setting - think of it like a pop-up Career Fair without the long lines. This is your chance to stop by for a visit with top employers to learn about their company and their culture. Learn interview tips and make personal connections. No formal presentations, come as you are. The world is fast evolving, with Artificial intelligence (AI) at the forefront in changing the world and the way we live. The prospects for AI future use are enormous. This is already indicated in the current use of AI in the medical, banking, gaming, transport, manufacturing, and defense sectors. 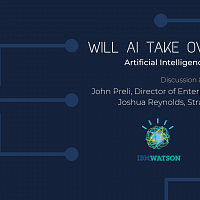 The UConn Data Analytics Club is inviting the Director of Enterprise Risk Management at IBM, John Preli, and Joshua Reynolds, a Strategy Consultant at IBM to discuss the role Artificial Intelligence plays across the world and its ever-changing reach into our everyday lives. The résumé, cover letter, and application all serve the purpose of getting you the interview, and the interview is your chance to actually get the job. 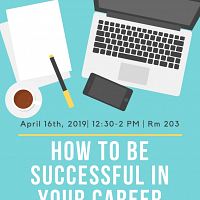 In this presentation you learn about what to expect in an interview and how to prepare to answer standard and complex questions in a professional way that makes you stand out and land the job, internship, or experience you are seeking. Food shopping, meal planning, and cooking are necessary functions yet can cause stress and fear if you feel you don't know what you are supposed to be doing. Discover strategies to save time and money, get some recipes and maybe even taste some dishes that are easy to prepare and easy on the wallet too! Washington Trust bank is recruiting seasonal tellers, visit them in the Student Center! Career Tuesdays at the School of Business are open to all students. Why should you attend? This is a chance for you to engage with employers in a casual setting - think of it like a pop-up Career Fair without the long lines. 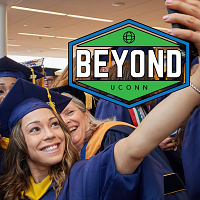 Beyond UConn is a conference for students graduating from UConn (undergraduate and graduate) in 2019. It is designed to provide information about the transition from UConn to the next phase of a student’s life. 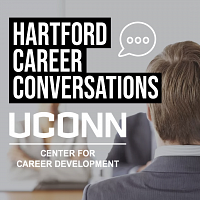 Participants will be introduced to essential career and life skills from top employers, UConn alumni, and professional staff. Hors d'oeuvres and dessert will be provided. Foxwoods Resort & Casino and The U.S. Census Bureau will be tabling at the Avery Point Student Center to chat about internship, job shadow and full time careers. Stop by to learn more! Mik Matwiejczuk will be explaining what to do in your first 100 days on the job to make sure you are successful. Career Tuesdays at the School of Business are open to all students. This week meet reps from Prudential. Conducting a modern day job search can be an overwhelming process. Too often potential candidates are directing the majority of their job search to the least effective methods. In this workshop you will learn crucial elements to focus your search on strategies that work! Learn how to leverage resources and UConn services already at your fingertips to help you develop your own comprehensive search plan. Meet with representatives from Aquiline Capital Partners to learn more about Private Equity and how to apply/interview for roles in that industry. Open to all students. 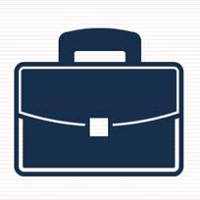 See job postings on Handshake for both full time and internship roles. Career Tuesdays at the School of Business are open to all students. Why should you attend? This is a chance for you to engage with Prudential in a casual setting - think of it like a pop-up Career Fair without the long lines. Looking for a car? At this session participants will receive information on buying vs. leasing, new or used, financing options and insurance plans. This workshop is presented by CarMax.